QUESTION: Mr. Armstrong; I think the light just went on. You said that capital invests on a net return basis. This makes sense. If I can make €100 on €100 per year who would not invest. If they tax those gains 80 per cent as Piketty argues, then I have only €20. If I invest in another country and keep even half, then I will invest elsewhere. 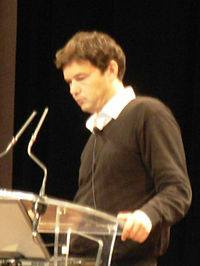 Piketty here in France is being cheered while his focus is not economic and what is best for the country. He attributes nothing to capital investment and the creation of jobs. You are correct. Houses here in Paris are declining in value now as anyone who could afford them is leaving and that causes all housing prices to decline. The the union boss-nappings are warning that companies should not open here, but it may be dangerous just to be a boss. It is all based upon net return. Why can’t people see this? ANSWER: Absolutely. They see only what they want to see. Kidnapping one’s boss and his family as part of a union negotiation is just unbelievable. Nonetheless, this too reflects this amazing attitude against capital. It is self-justification that anyone who has more does not deserve it. At what point do you deserve to keep what you earn? It is very true that while taxes impact investment decisions and drives capital away reducing job creation and lowering the standard of living for all, historically it is always the net return that determines capital flows. Whenever the flow of capital is against government, they historically impose capital controls to prevent money from running away. This is the spiral we are falling into on a global basis. Cicero tells us about Brutus’ investments back in the 1st century BC. During the late Roman Republican period when the legal rate of interest was 12% in Italy. 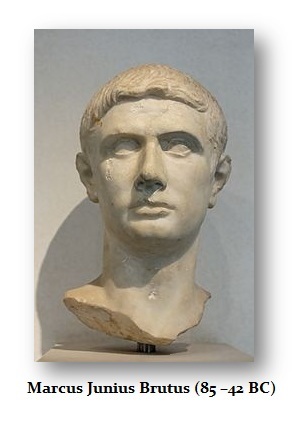 Marcus Junius Brutus (85-42BC) lent money at 48% to the City of Salamis Cappadocia (Turkey) showing that he regarded the legal rate to be confined to Rome, not the Provinces. Cicero tells us that if there was a crisis event in Asia Minor (Turkey), it sent waves of panic rushing down the streets of the Roman Forum because of all the investing in emerging markets. Capital has ALWAYS moved the same for thousands of years. People who think we are modern and that whatever happened in Rome is irrelevant, failed to understand how everything functions. They associate technology with trend rather than humanity. People act out of their self-interest today as they did in Rome – nothing has changed in that respect. It has always been NET RETURN that attracts or repels capital. Tax rates are important for whether jobs will be created depends upon the opportunity for capital to invest. Piketty focuses on who has what, which is the typical communist view from France (where it began), rather than the economic impact. 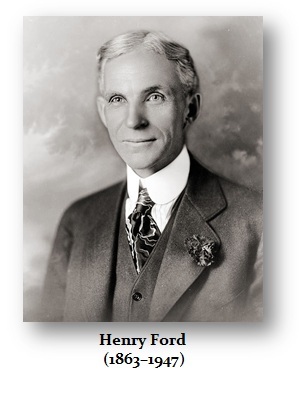 Henry Ford became very rich inventing the assembly line. He reduced the price of cars so the average person could afford one. Piketty is obsessed with how much money Henry Ford made, rather than all the jobs he created by making the automobile industry mainstream and how that increased the land values for people could now travel where trains did not. 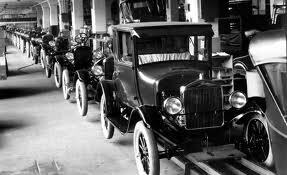 Whatever Henry Ford made was a tiny fraction of what he contributed – something people like Piketty will never acknowledge nor understand. Look at Bill Gates. Yes he made a fortune. But bringing the computer to mainstream opened the door to everything right down to the internet. That would not have been possible without the creation of the DOS operating system from the outset.